Fast forward 20 years and four kids later, we were finding winters long and depressing. It was time to get back at it and teach our kids to ski. At the time our kids were 8,6,3 and one. We found a ski hill not far from our house and made the commitment as a family to ski every Saturday. Because of this commitment, also came the commitment to buy new equipment each year to accommodate our growing children! Skiing can be a very expensive sport, with new skiis and helmets adding up to hundreds of dollars every year. However, by buying through the second-hand economy, my family and I have been able to stick to our skiing commitment each year as we are able to save money by buying second-hand skiing gear. Now, fast forward another five years we have four ski racers and I’m pretty sure all of them can beat us down any hill. We spend every Saturday and Sunday active, healthy and with family and friends. 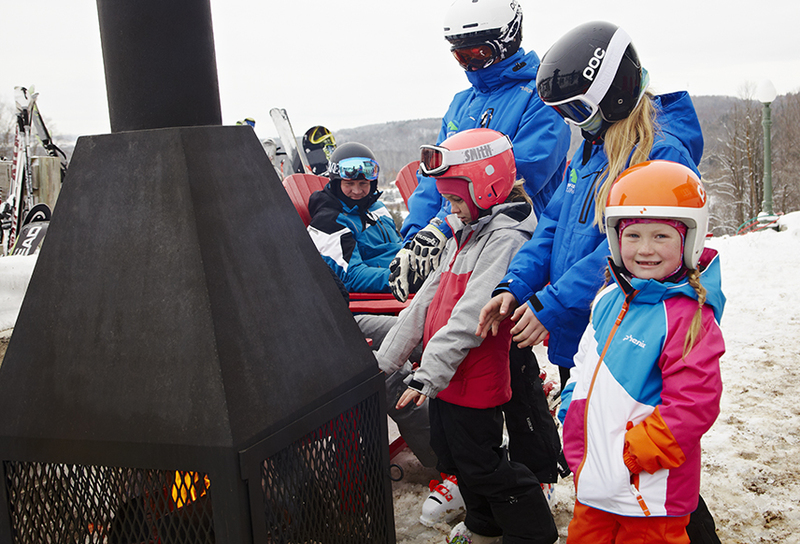 Here are a few tips to get you started in becoming a ski family this winter! Ski Hill – I used to cringe at the sight of a small ski hill. I was shocked when I saw my first Ontario ski hill and I could see the top! Having skied both small hills and huge mountains the reality is that everyone starts on the bunny hill. Find a ski hill that is not too far away from your home or that has accommodations for your family. Public ski hills are the most affordable way to start skiing and there are lots of them. Private clubs have shorter lines and more of a community feel to them. We have met so many friends at our ski club but private is definitely more expensive and there are fewer of them. Equipment – Winter sports can be out of reach to many Canadians, especially when you consider the high price tags that come along with new skis, snowboards and skates. The second-hand economy is a great option to find the high-quality equipment one needs to not only try their hand at something new but also progress in their favourite activity. Every year we have everyone in our family try on all of their equipment to see what they’ve grown out of, broken or lost. 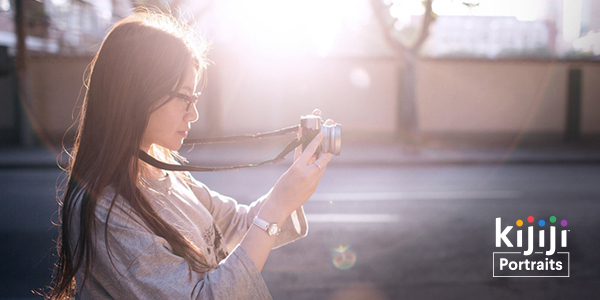 From there, we pass down a few things to the younger siblings but it is still expensive. We have found many great deals on skis, race suits, poles and more by buying gently used. 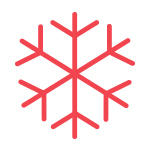 Fun fact: December sees the most searches for winter sporting goods (an average increase of 98%). Among those goods, skis, snowboards and skates are the top searched items in the winter. All of our kids are ski racers, so they have specific skis for GS races and another set for Slalom races. We don’t want those expensive skis being used for skiing in the glades (trees) or in the terrain parks (jumps and ramps). Because of the large inventory of winter sporting goods on Kijiji, my son has found a pair of used skis every year! In fact, we save approximately $800 each season from using the second-hand economy to find our ski equipment versus buying brand new. We have also sold skis that are too small for everyone now. I can tell you from experience both buying and selling on Kijiji for years that buying second-hand doesn’t mean you sacrifice quality and there is a lot of high-quality equipment available. Lessons – If you are new to skiing or haven’t skied in a while then you definitely want to sign up for lessons. From two years old and up, ski instructors will show you everything from how to get started to how to improve your technique. I’ve been skiing since I was four years old and I still take a few lessons every year. The equipment and style have changed over the decades so how I learned to ski as a kid isn’t how I ski on equipment now. 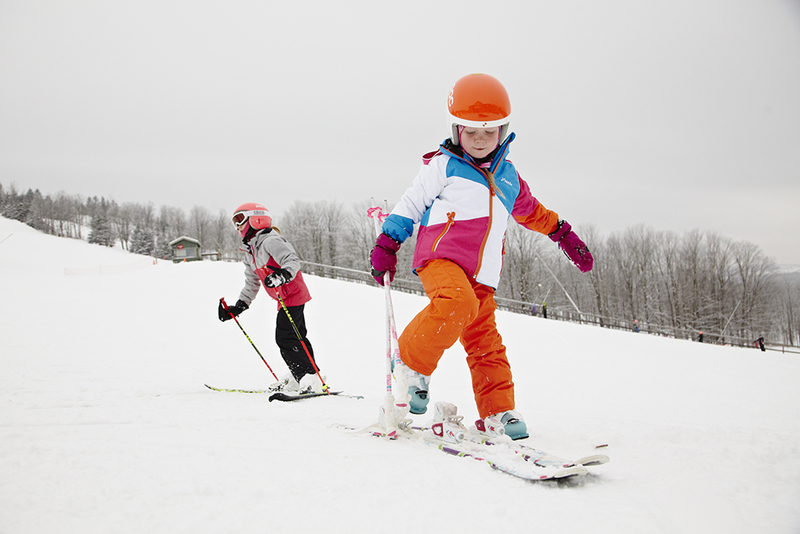 For kids who are athletic in other sports, they will pick up skiing so quickly it will make your head spin. In just a few hours the improvement and confidence is amazing with the right instructor. It can be very frustrating to try to teach your own kids or spouse to ski, so I highly recommend leaving it to the professionals. Community – When you truly dedicate the winter to being a ski family, you meet the craziest people; other ski families. 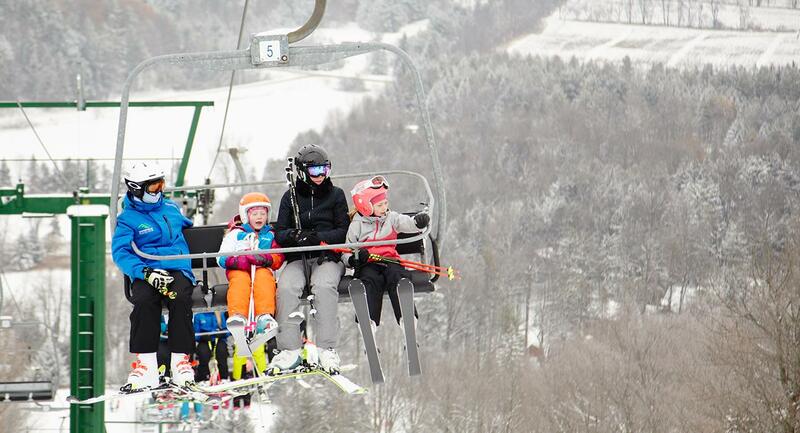 Sometimes you even meet ski families with several generations of skiers. These families help us, they share the best stories with us and they inspire us. Skiing can be expensive, but buying your equipment second-hand allows families to access this and enjoy that community and bonding time together. There is a great sense of community at our ski hill, where anyone will stop to help you if you need it. Our kids have a gang of kids that they can’t wait to hang out with all weekend. There is always many sleepover discussions on Saturday nights, and it’s easy to arrange because everyone is already at the hill and will be returning on Sunday. The parents and kids alike spend happy, quality time together and that makes for very special friendships for everyone. I was a kid at a ski hill every weekend, now I’m parent of kids skiing every weekend, soon I’ll have a bunch of teenagers skiing every weekend (and staying out of trouble because they are busy skiing, or that’s my plan) and eventually I will be a grandparent with my adult kids and grandkids skiing with us every weekend. Skiing is more than a sport for ski families, it is a lifestyle that encourages a lifetime of activity, health, friendship and family. Yes, it can be an expensive sport, but because the second-hand economy offers ski-related items for less, I’m able to continue to enjoy this sport every year without worrying about breaking the bank. I can’t think of a better way to spend every winter. Learn How to Get Involved in the Second-Hand Economy! If you’ve bought or sold used items, swapped, or donated, you’re already an active contributor! Maureen Dennis is the founder of WeeWelcome.ca and supermom of 4. She appears frequently on shows such as CityLine Breakfast Television and Rogers Daytime, and also been the Parenting Expert for CTV’s The Marilyn Denis Show and The Social. Add a giant dog, a tiny dog and a traveling husband, Maureen still finds the time to guide her community of over 40,000 expectant and new parents through the wild and often overwhelming world of parenting. Here's some more second-hand knowledge! Whether it’s simply by purchasing something previously loved or making a trade, here are more great ways to save! Want to discover more articles about second-hand economy? You have to go off the grid to get to Wildlife Sanctuary Studios. Can he kick it? Yes, he can.